It’s often said and widely understood that geology is a science that is best understood in context. Southern California offers no shortage of geologically interesting and complex locations to visit, one of which is the Devil’s Punchbowl Natural Area. On Saturday, October 29, 2016 interested Physical Geology students, Geology Professors Christyanne Melendez and Lisa Collins, and Geography Professor Jing Liu explored the geologic complexity of Devil’s Punchbowl. Highlights included tilted beds alluding to the presence of a large syncline, numerous faults, sedimentary rocks reminding us of the area’s past as a pull-apart basin, and larger discussions regarding the complex San Andreas fault system. 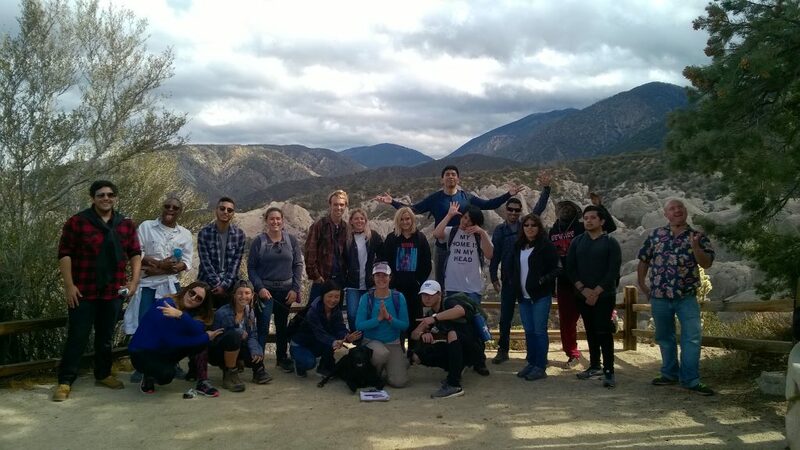 While the geology was undeniably cool, the shared experience of hiking in this beautiful area of Southern California made the trip a geologic success!